I still remember how confused I was my first semester in college because of not knowing where to find a trustworthy and, more importantly, affordable place to rent textbooks for my classes. After spending hours looking and asking for help from friends on social networks, nearly 70 percent recommended the Chegg website. The first thing I did was to search for all the required textbooks, then I made a comparison of prices with others places. 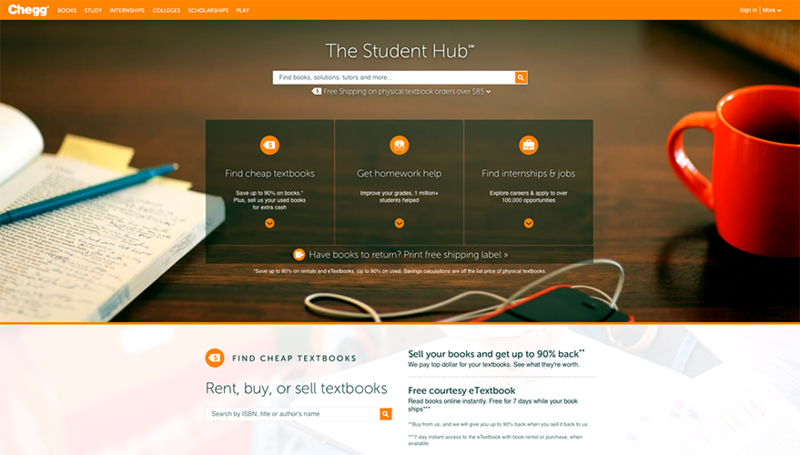 Surprisingly, there was a really huge difference between Chegg and places such as Amazon, Ebay or even at some bookstores in and outside of the college. Thanks to Chegg, I saved a huge amount of money on my textbook rental expense. Chegg.com offers a variety of new and used textbooks for every major from the earlier to latest editions — and all in very good condition. Speedy delivery and an easy-to-return system satisfied me a lot as well. Chegg automatically sends a reminder email 15 days ahead of the due date for your rented textbooks. There also is a return label attached to the returning email. It is so convenient. 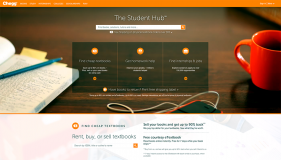 In addition, Chegg helps users with scholarship information. After creating an account and filling in all of your personal profile information on the website, Chegg will email you whenever there are any available online scholarships matching your provided information such as age, hobbies, GPA, resident status, major, etc. Graduate students who are looking for internship positions or a job also are able to use Chegg as a useful searching tool. Jobs and internships can be easily searched based on the user’s expectations such as location, major, and full-time or part-time preferences. Applicants are able to use their résumé which is uploaded — or created — in their current Chegg account. The website design is simple and easy to use from searching to check out. There also is a Chegg app which makes it convenient to track to your delivery status and conduct searches from anywhere at any time.